A woman’s severe eye infection was found to be caused by bees residing in her eye and feeding from her tears. Doctors were taken aback to discover the cause of the eye infection. Four bees were living in the woman’s eye. The 29-year-old patient named He rushed to the Fooyin University Hospital after suffering from severe eye pain. The pain was being caused by a special species of bees known as sweat bees or Halictidae. Despite their small size and lack of aggression, these bees to have the ability to live inside a human’s eye. Doctor’s attending to the Taiwanese woman were expecting to treat a normal eye infection. They were surprised to find four bees that were embedded in the patient’s eye. 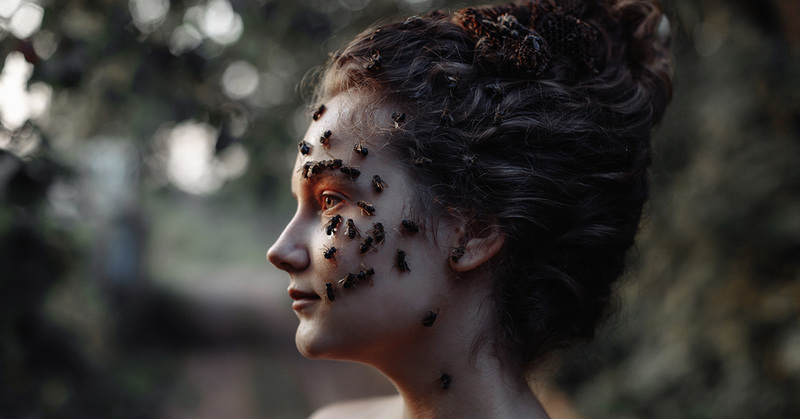 Nutrition from her tears was the only way these bees were surviving. These four bees were tucked underneath He’s swollen eyelids. Dr. Hung Chi-ting, the head of the hospital’s ophthalmology department, attended a press conference to address some questions regarding the case. He reported that these sweat bees tend to live in fallen trees and near graves. It is likely to come across these bees while going for a hike in the mountains according to Apple Daily Taiwan. He, along with her family, was visiting the grave of a relative. She spent a lot of time tidying up the grave by pulling weeds. After feeling something in her eye, He suspected that the pain was being caused by a piece of dirt. Although she cleaned her eyes with water, the pain didn’t subside. After a few days of excruciating pain and stinging sensations, she went to the hospital. Dr. Hung saw something that looked like insect legs in the patient’s eye. Upon further inspection, he realized that they were sweat bees. Fortunately, He did not itch her eyes extensively. This could have made the situation significantly worse. According to Apple Daily Taiwan, this incident could have left He blind. She was only left with an inflamed cornea.